Do you want to be able to sing and play an instrument but you’re afraid it’ll be way too hard and you won’t ever have enough time to learn? I’ve got good news, you can learn the ukulele for less than $100 today (cost includes the PURCHASE OF THE INSTRUMENT). If you have one already, you can learn for $25! For real?! YES. The strings don’t hurt your fingers. Chords are easy to learn. You can sing with them. All your skills build the foundation for learning guitar. If you already know a few chords on guitar (or any stringed instrument), you will learn ukulele FAST. Sign up today for a limited time Ukulele Week Special March 13th-20th 2019, where I’ll offer one-on-one 30 minute sessions for $30, and a group workshop for $25 where you’ll get tuned up, playing chords, strumming, and singing your first song. Mark your calendars! The next ukulele workshop will be March 16th 1-3pm EST. Play Love Will Find a Way by Jodi McLaren and Rachael Maddox with free lead sheet (lyrics+chords) provided. The cost is $25 for up to 8 people, and the video workshop will be recorded and sent to you for future reference. All proceeds will help send me to the homeland of the Ukulele—Hawaii, for a special retreat. PLUS, everyone who participates in the ukulele group workshop will get $25 off the Free Your Song online songwriting class, a 100% return on your investment. (If you’re already signed up for Free Your Song, you get to take this ukulele class for free!). Get $25 off Free Your Song Pre-Order Special when you attend the group ukulele workshop! In March, I’m releasing my online songwriting class: Free Your Song. And while you don’t NEED to know how to play an instrument to write a song, you will be able to do a lot more on your own with a little bit of musical skills, and I promise you that by March, you can have enough chords mastered to make your ukulele-playing dreams come true. Ready to Free Your Song in 2019? Not everyone has a whole day to research ukuleles, and not all ukuleles are created equal. Here are three great options backed by music therapists and music teachers to match your budget, style, and sound! Fun Design, Stays in Tune! For kids (or kids at heart) these are solid, stay in tune, and have cute and fun styles! 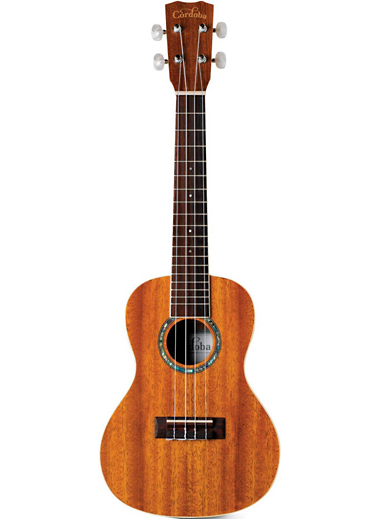 Flight ukuleles are made with some wood, some plastic, but they sound and play great and stay in tune! Choose your color and style. This ukulele is very nice to play, and it’s a concert ukulele which means it’s a little bit bigger than the soprano size and sounds a little fuller. It’s also more expensive. But if you’ve got the budget, this is a great sounding ukulele. The best way to choose one is to go to your local music store and PLAY a whole bunch until you find one that you like playing. But if you must buy online, the three options and brands above are solid choices. Happy buying! I was in Portugal, at Intro Week for Tamera Healing Biotope I. I didn’t bring a guitar because I assumed that the place I was visiting, a peace community of 200 people working to create a viable peaceful alternative to our current world, would have community guitars available, for sure. I was wrong. I had no access to a guitar during a time when I was flooded with inspiration. I felt like a bird without wings. I literally cried because I could feel the music wanting to come through me and I had no access to an instrument. I finally remembered that another visitor brought his ukulele. It was 10:30pm and I knocked on his door and requested to borrow his instrument for the night. He happened to be hungry, so I gave him a couple Lara bars. And that night, my best friend and I wrote my first song on the ukulele, “Love Will Find a Way.” The song became the theme song for the week, and it became a song I wanted to teach the world to sing and play. Learn to play Love will Find a Way on the Ukulele in my Ukulele Workshop January 5th from 1-3pm! When I got home, I was serendipitously invited to open for a touring lesbian activist band, Emma’s Revolution, on International Peace Day at a unitarian church in Reno, NV. Right before the show, I stopped at guitar center and bought my first ukulele (I chose to get the Cordoba concert ukulele that plugs into a PA system for a little over $150, but you can get one for less, see my recommendations above). I sang “Love Will Find a Way” at the show, and everyone sang along. Emma’s Revolution liked my song so much, that with tears in their eyes, they invited me to sing with them on stage later that night! Now I sing this song wherever I go: dance classes, yoga classes, potlucks, campfires, car rides… You can sing and play it too! 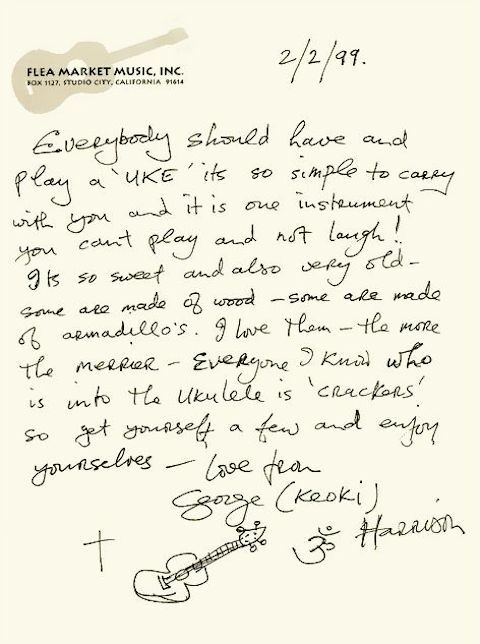 I’ll teach you how in my ukulele workshop January 5th. Since I bought my ukulele a few months ago, I’ve written so many songs on it! It’s easy to play and easy to travel with, making it the perfect road trip companion (for passenger seat sing alongs, pictured above). Plus I’ve learned to get fancier as I go, adding more chords to my repertoire and jazzing up my style here and there. Inspired to try?